Steve was born March 5, 1960 in Caps, Texas to Benjamin Henry and Dorothy Keith Kerns. He married Linda Golden on April 14, 1979. Steve was a member of the Elmwood Baptist Church in Abilene, Texas. He was an electronics technician and loved reading, fishing and history. He was preceded in death by his parents, Benjamin Henry Kerns and Dorothy Kerns. Steve is survived by his wife, Linda, of Haskell, sons, Mark Kerns of Haskell and Matthew Kerns (Xiao Liang) of McKinney, Texas; grandchild, Mackinze Kerns of Blanket; brothers, Scott Kerns (Jodi) of Brady, Don Kerns (Stephanie) of Menard, and David Kerns of Corpus Christi, as well as extended family and friends. To send flowers or a remembrance gift to the family of Benjamin (Steve) Kerns, please visit our Tribute Store. 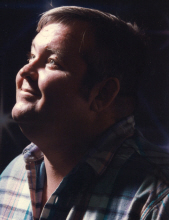 "Email Address" would like to share the life celebration of Benjamin (Steve) Kerns. Click on the "link" to go to share a favorite memory or leave a condolence message for the family.